Let’s not beat around the bush. Traveling on airplanes with large carry-on backpacks isn’t exactly a day at the beach. The struggle begins from the moment you zip it up at home. Then you have to carry it down the stairs, load it into the car, and await the joy of navigating it through a major airport. 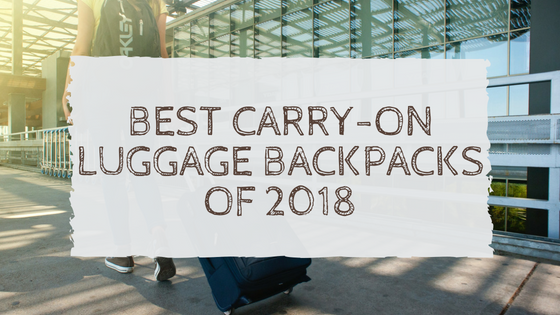 So to make your next trip a little easier, let’s review the best backpacks for carry-on luggage in 2018. What Makes a Great Carry-On Bag? Size matters... especially when it comes to carry-on luggage backpacks. Most airlines allow bag sizes up to 22" x 14" x 9" which gives you around 45 liters of space to work with. With baggage fees skyrocketing, passengers want to maximize carry-on space. These specs aren't a rigid one-size-fits-all though. Some larger backpacks can still fit snugly in overhead bins—depending on the bag's material and flexibility. But with baggage fees skyrocketing, passengers want to maximize carry-on space like never before. The other factor we can't forget about is the TSA FACTOR. There might be a total of 7 people in the United States who are legitimate fans of the TSA. For the rest of us, we simply put up with it because we have to. Our choices for carry-on luggage can go a long way in making the experience smoother and slightly more pain-free for all involved. Are the pockets easily accessible? ​The last thing you want is for a TSA agent to have to dig through your entire bag, struggling to reach certain compartments. Ideally, you want to have a couple of large front pockets that can be easily searched. Will the backpack cushion and protect my laptop? Never trust your laptop to be 100% safe​. Even though it's unintentional, backpacks can get tossed around like frisbees during the security process (trust me, I've flown out of Newark too many times). Is there any risk of liquids spilling into other compartments? ​Count on your bag getting flipped around a few times. If there are any small liquids tucked away, you might have a mess on your hands. 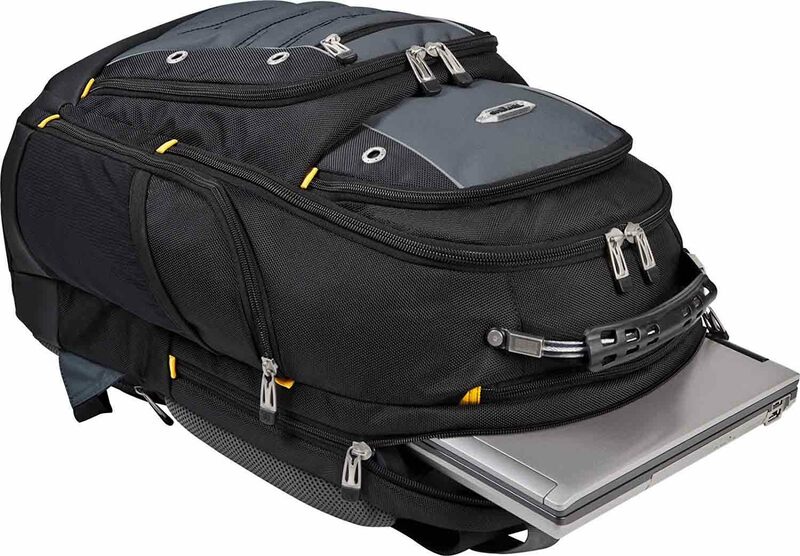 When you take your laptop on a plane, you need to place it in a backpack that provides plenty of storage space. But you also need one with a little extra padding for additional security, ensuring nothing gets damaged along the way. 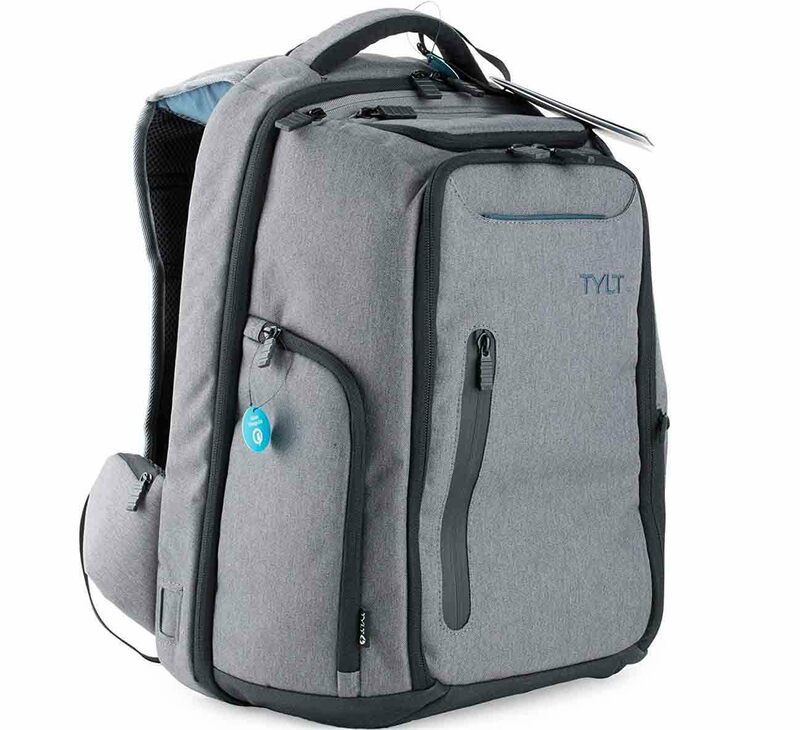 Say hello to the Matein Travel Carry-On Backpack. Stylish and roomy while also being snug enough to keep your cherished MacBook safe and sound. When in doubt, call on Osprey to get the job done. This Porter 30 is small enough to cozy your way through a flight without much hassle, but is also convenient when you actually arrive in the city and need to carry stuff around. A top pocket allows you to stash small items and accessories—a great spot for your sub 3 ounce liquids. But there's also a larger front pocket for storing slightly larger things. Ain't nothing like a Lulu, am I right? Okay, okay. 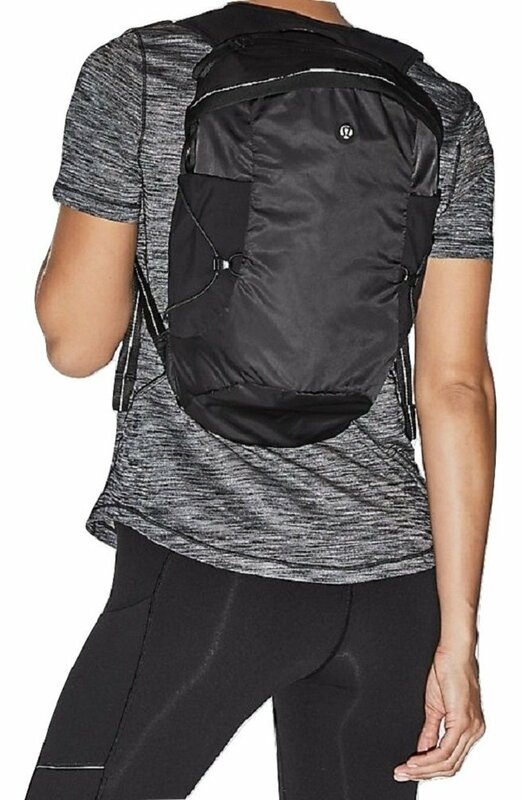 Even if you're not the biggest fan of Lululemon, you can hopefully agree that this backpack perfectly stylish and great for a day trip. Because it is! This is ideal for people who workout on their trips—something we all say we're gonna do. It's 360 degree reflectivity helps keep you illuminated when running in low light and near high trafficked areas. This might win the day as far as style is concerned. 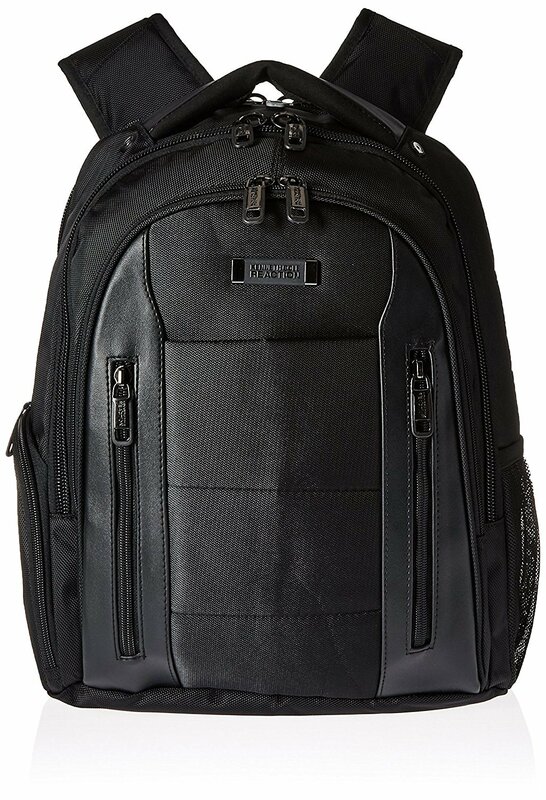 Standard Luggage Co. delivers a jet black colored backpack with a carrying capacity of up to 45 liters (for Americans, that’s nearly 12 gallons). It’s high end, but comes with so many great features that the price seems pretty fair overall. 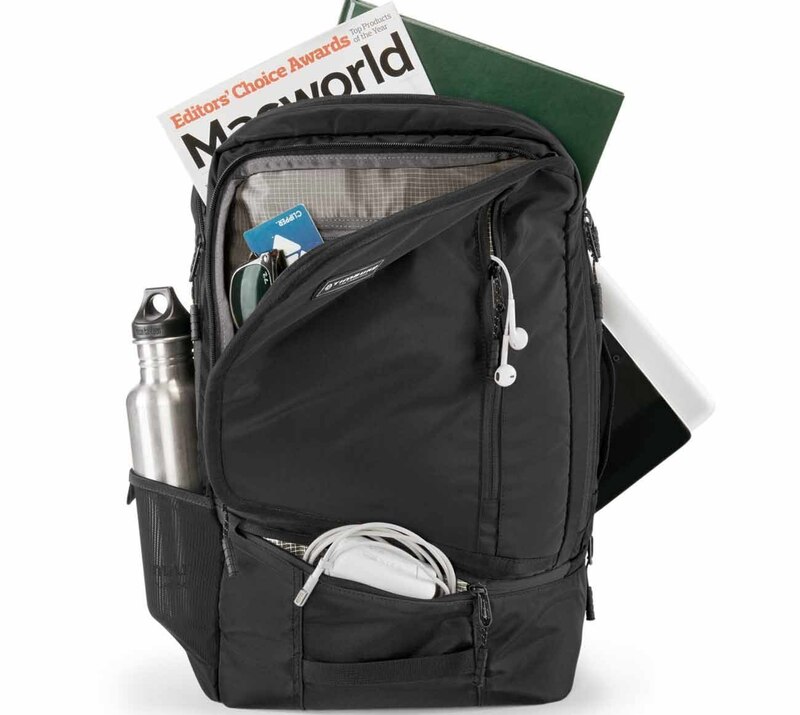 The bag includes multiple exterior zipped pouches, compression straps, and a removable laptop sleeve. But best of all… it has a built-in safety whistle! Never hurts to have a little protection when you’re traveling the world. When you hear Kenneth Cole, does your mind go straight for an episode of “White Collar?” Well it should. But as luxurious as this backpack looks, it costs about one-third of the price of its competitors. Kenneth Cole Reaction is the staple brand for business travelers and has been for many years, and this new Ez Scan is another great entry into the product line. As the name would suggest (Ez Scan), it couldn’t be easier to access each compartment. TSA agents will be thrilled, and so will you! Security lines will be a breeze. The backpack is also super lightweight, even though it doesn’t look it. Great for heading out on a business trip. On the flip side of business traveler-gear, you'll find this slightly larger, more outdoors-oriented offering from Patagonia. The perennial outdoor brand gives us this super slick Black Hole Backpack, which will be perfect if you're planning to trek around Southeast Asia sometime soon. Its extremely weatherproof TPU-film laminate will repel water even in the most torrential environments. Plus, there's plenty of extra space for your own liquids inside the pack's padded sleeves. The large front stash pocket will come in handy when you have to take out your goods for TSA. 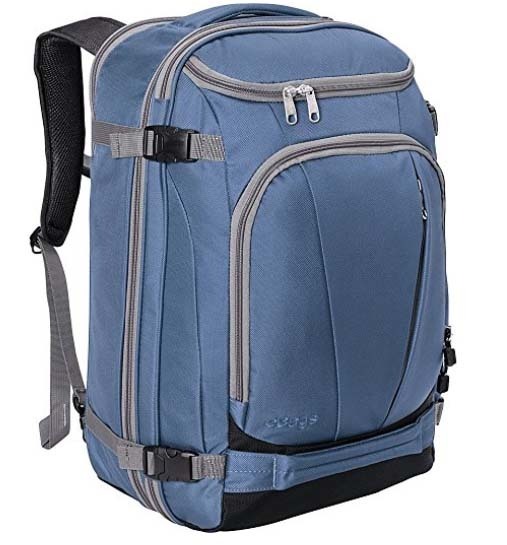 At just $29 (as of 4/16/18), this Beyle laptop backpack is a true bargain. Perfect for college students who have to fly back and forth to school. It's understated, but in a good way. With only a few zippers, it's hard to get lost in this thing when looking for small items. Best of all, it can fit a 17-inch laptop. Hallelujah! That alone is hard to find in a travel backpack. Flight approved—and available in more than 20 color variants, the Hynes Eagle Travel Backpack is great if you can't choose whether to bring a duffel bag or a backpack. Why? Because it can convert from one to the other in seconds. Ideal for space-saving, especially when boarding a full airplane. 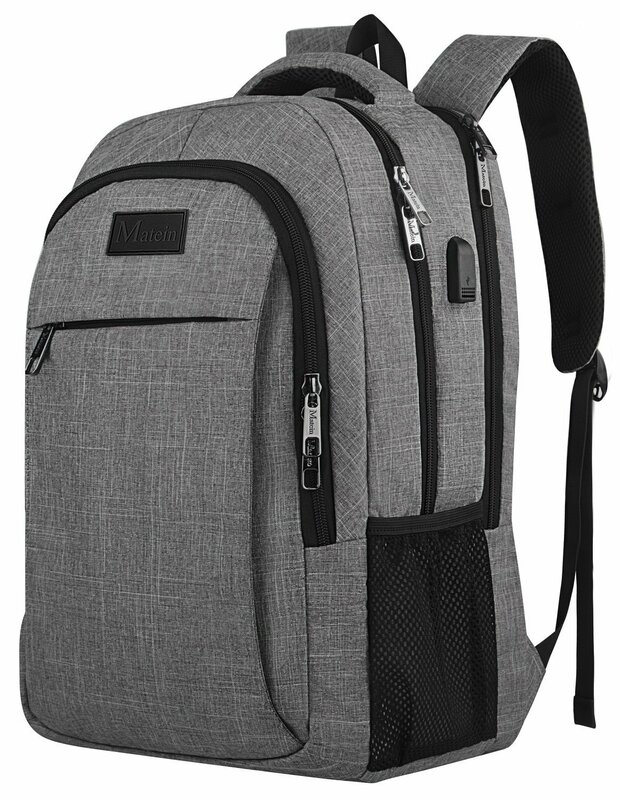 The backpack has 2 front compartments to fit a 15.6-in laptop and other miscellaneous goods. 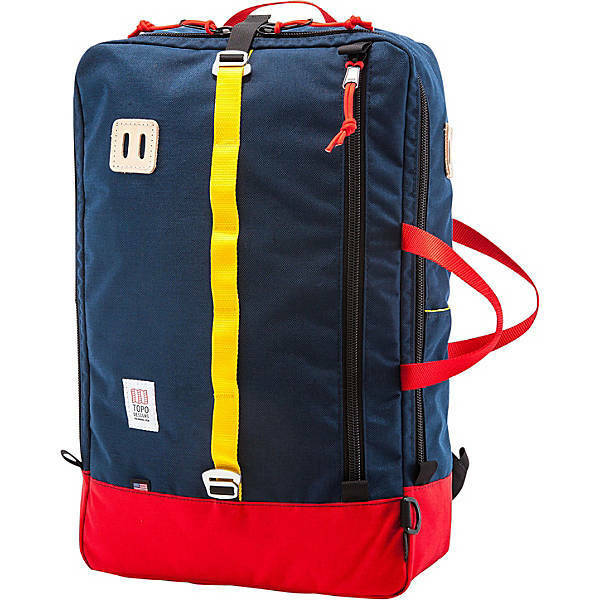 If you want a little flavor in your bags, look no further than this Topo Travel Bag. With dimensions of 22" x 14" x 6" it's a pretty small bag. But the unique style and design make it a fun option for low-key weekend trips. One thing is certain. You will probably NEVER lose it in a crowded area. 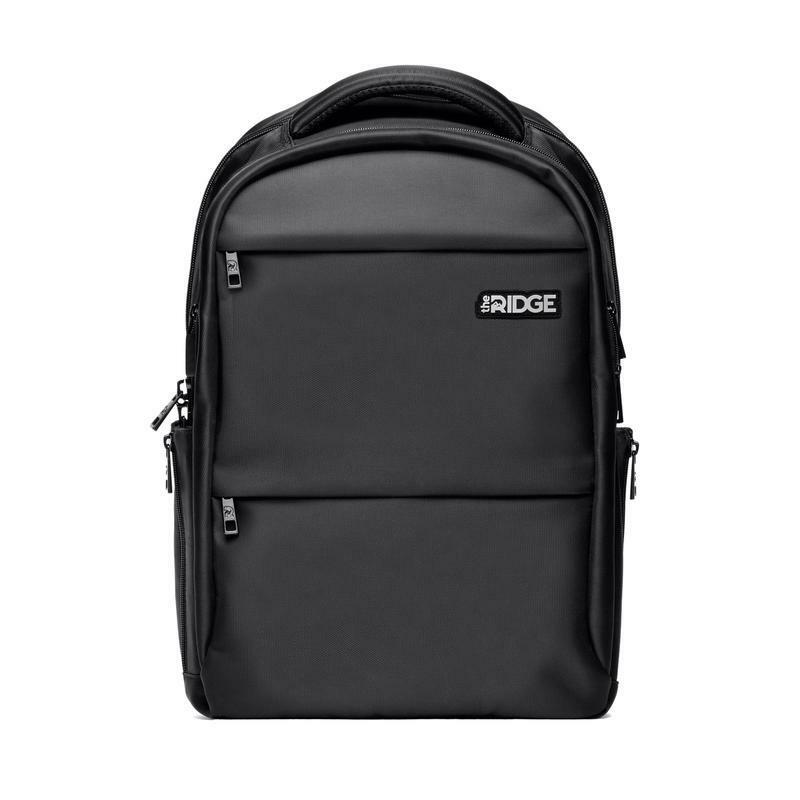 A simple pack from The Ridge Wallet, its water-resistant nylon shell and shockproof laptop compartment will defend even the most sensitive of electronic gear. Plus, it has a built-in USB charger, luggage strap, and multiple water bottle holders. Comes in two variants; a 15" Commuter - small enough to fit as carry-on for business trips, and a 17" Weekender - a little bigger for packing away clothes on a weekend trip. 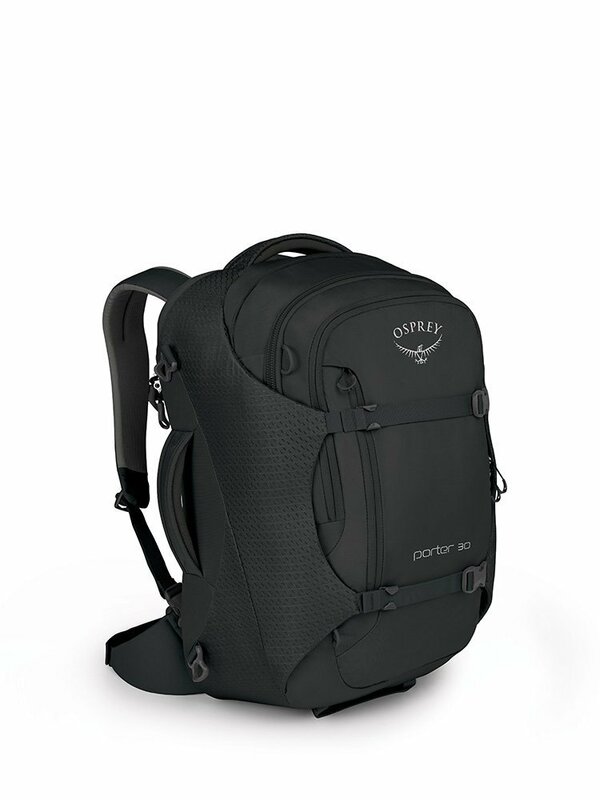 I know, we'd be remiss not to mention an Osprey bag. 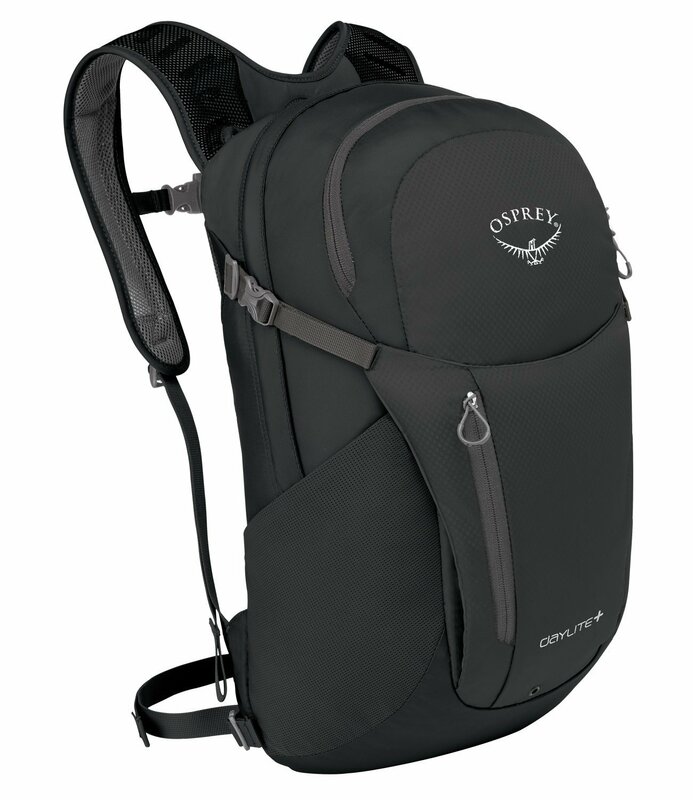 Despite this being the PLUS version of Osprey Packs Daylite Daypack, we prefer this one because of its added insulation. Even though it holds 7 more liters in total volume than the standard version, it's still a breeze to take through TSA and onto your plane. With just a pair of zippers to contend with in front of the bag, you won't need to go digging for stuff. It's Front Panel 'Shove-It' Pocket is fantastic for stashing in a light rain shell. 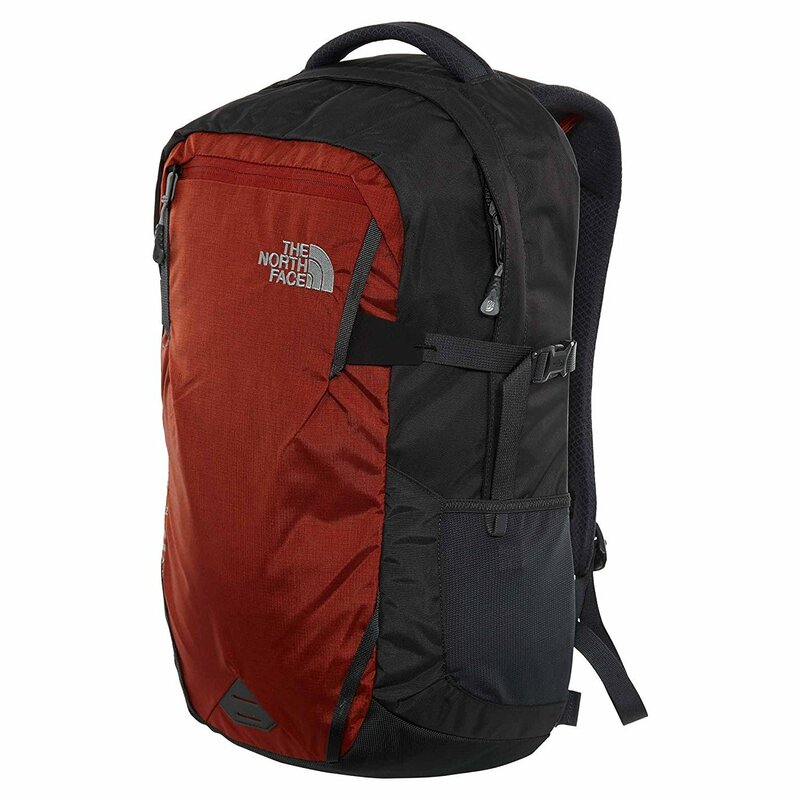 Another mainstay item when it comes to backpack brands, this is The North Face (no, it's not just "North Face"). With a padded laptop sleeve in the central compartment, you'll be able to keep your gadgets safe and secure. 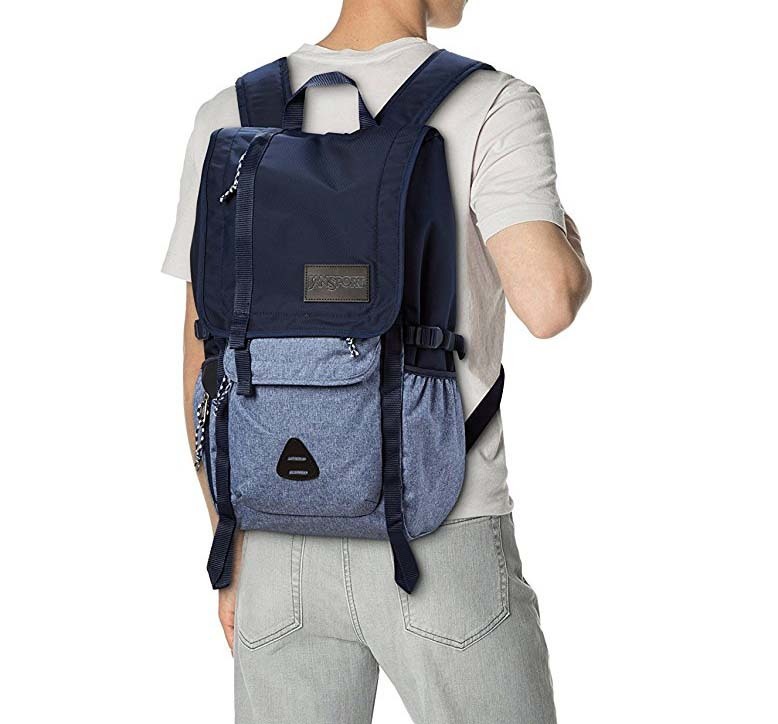 A FlexVent suspension system with custom injection-molded shoulder straps means that the backpack will contour to each individual's physique. And for airports, check out the bag's front stash pocket with stretch side panels. Perfect for placing your liquids at check-in. With over 200 positive Amazon reviews, the Timbuk2 Spire Backpack is clearly doing something right. The pack does a fantastic job of keeping your goods dry, no matter what you're putting in there. Its back zipper lets you enter through the back without having to worry about items falling out everywhere. It can fit 15" laptops, plus a lot of other small items. Good for students, commuters, and airplane travelers alike. This 46L Porter isn't as massive as it seems. Even though it's a backpack, it packs more like a standard suitcase. Easily fits in luggage compartments on planes, trains, and automobiles. Any photography buffs out there? 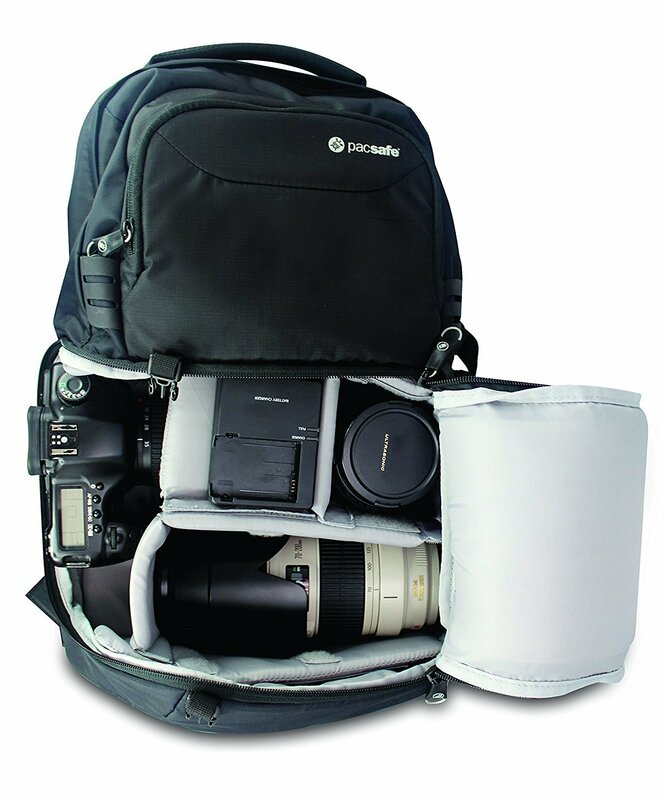 This Pacsafe Camsafe is a great camera backpack for traveling, especially on planes. Best part is? There’s even some leftover space for light clothes, in the top section of the bag. 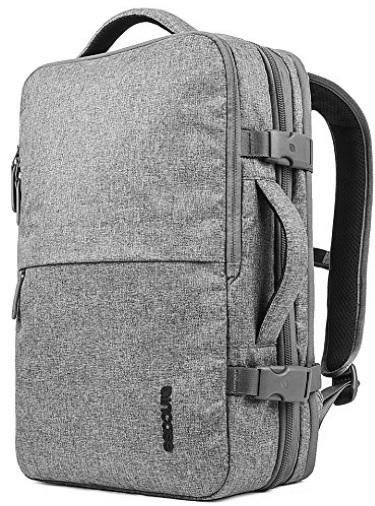 So if you’re planning a 2-3 day weekend getaway and don’t need to pack many things besides a camera, this is the bag for you. One of today’s hottest backpack brands is poised to have another big sales year in 2018. Dubbed “Little America Backpack,” this nifty little bag is great for airplanes. It fits perfectly underneath most seats, or it can slide next to your bigger bag in the overhead bin. 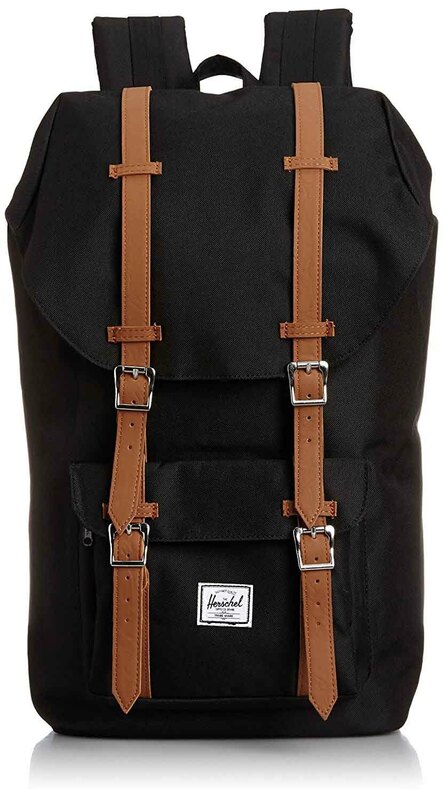 While the backpack alone is just $89, it goes well with a matching Herschel duffel bag and amenities kit. If you’re a dude looking for a sporty look, look no further than Under Armor’s Men’s UA SC30. 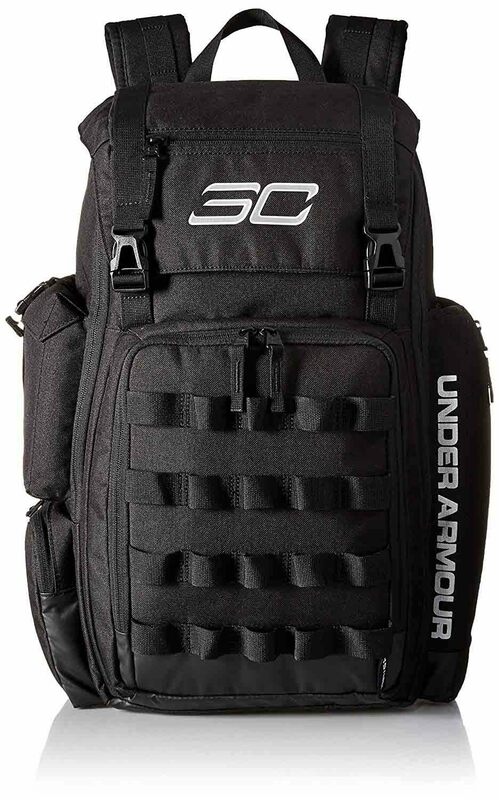 Sponsored by NBA star Steph Curry, the back is fantastic for pretty much everything. Take it to work, the gym, and yes of course the airport. 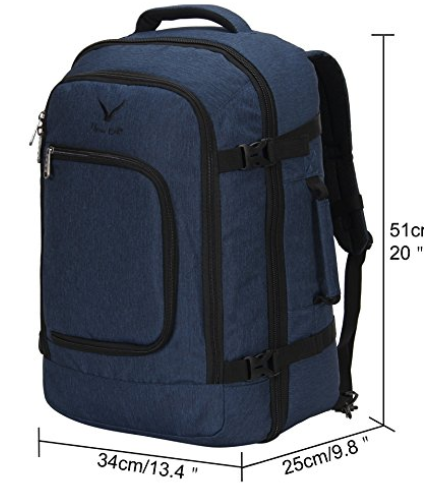 It’s one of the highest rated backpacks on Amazon thanks to it’s ample storage space and portability. Say hi to the Q. 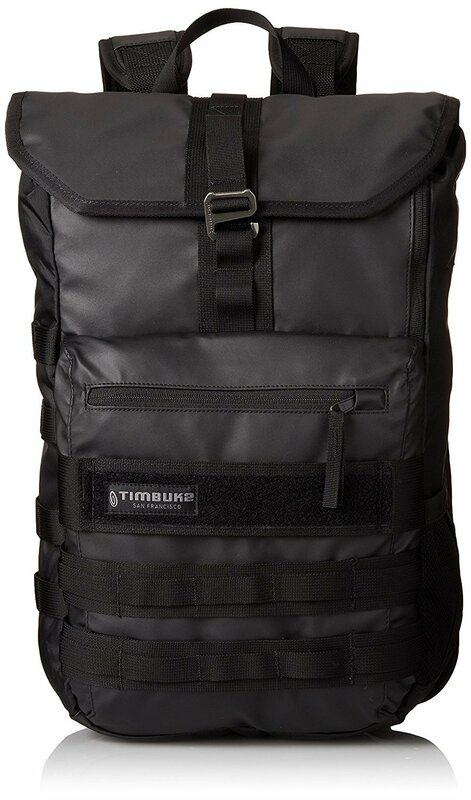 A Mid-sized backpack with a minimalist design, Timbuk2 delivers a quality product at a fairly low cost. The bag is 100% TSA compliant, and can fit a 17” laptop AND an iPad! Test it out for yourself first, but if that’s true then it’s pretty fantastic. If you’re using a carry-on backpack for the express purpose of containing a laptop and other electronic devices, try the TLYT Energi Pro. Affordable, especially as far as laptop packs are concerned, the Energi Pro will keep your Bluetooth speakers charged and ready to blast tunes for your morning hike. Alternating between backpack and travel suitcase with ease, this Incase EO Travel Backpack gives you control over how you want to travel. If you’re flying somewhere for several days, there’s plenty of storage space for clothing and other items. Plus, its laptop compartment accommodates up to 17” devices. There are only two color choices available, but hopefully that isn’t a deal breaker. Known for its rugged, at times bulky travel gear, Swissgear bring a travel backpack to the table that offers plenty of room without ruining the overhead bin space for everyone else. With the name “TSA” in its title, this option is assured to get you through the security line with minimal hassles. 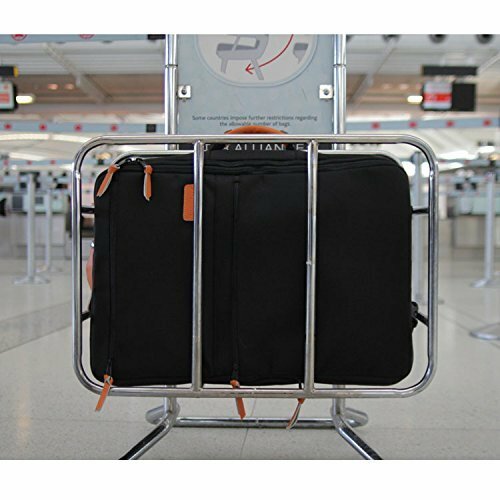 Its over-sized zippers will help the agents open pockets quickly and get you to your departure gate faster. Built to handle all the elements, this Cotopaxi Durable Duffel Bag Backpack can go with you anywhere and handle just about anything you through at it—or in it. It's especially nice if you're visiting a city where you'll be transitioning back and forth between train riding and walking. Just put away the straps and turn the backpack into a duffel bag when it's time to stow it atop the overhead bins. 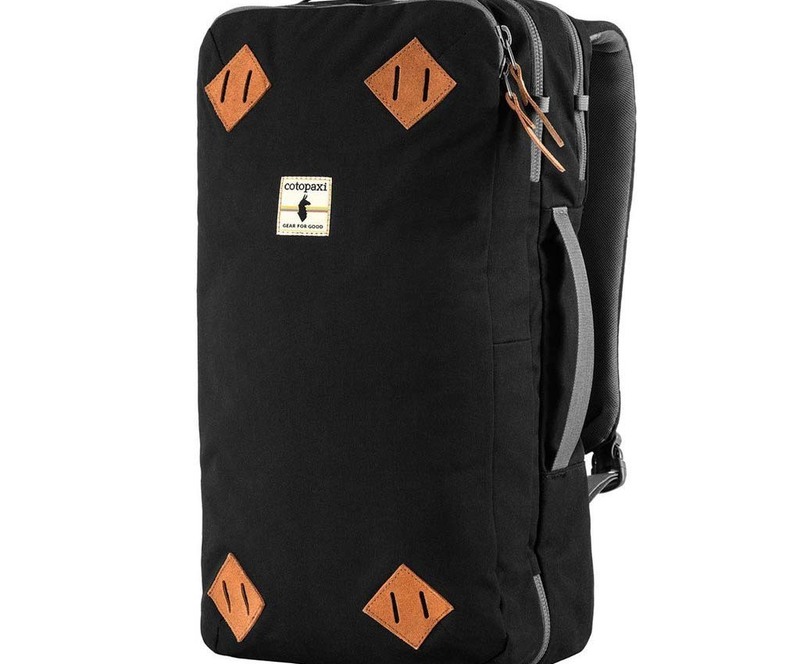 One of the newest additions to the backpack world is this rustic offering from Jansport. When you think of Jansport, this isn't the look that necessarily comes to mind, but so far it's been a massive hit. It's a pretty clear emulation of the Herschel bag design (something that every brand is doing in 2018), but at a nicely priced 50ish dollars, you really can't go wrong here! The Hatchet is available in multiple colors schemes too. 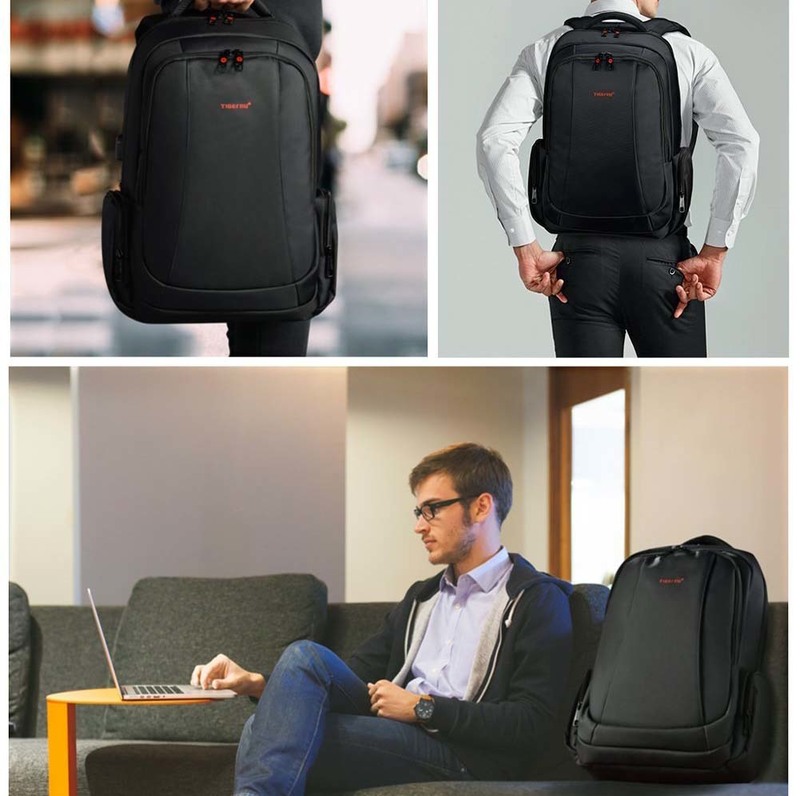 Available in different sizes, depending on your storage and laptop needs, The Uoobag KT-01 comes in a sleek jet black design for business traveling. Each size comes with a difference in price, so bear that in mind while making your purchasing decision. I've personally been a fan of Targus gear ever since my college buddy wore a Targus backpack to every lecture. And when I say he wore it to every lecture, I mean he wore it to EVERY SINGLE lecture. Regardless of the weather, they always get the job dome. These bags are uber accommodating for bigger laptops (up to 16") and other items a student needs around campus. With multiple zipper compartments, it can get a little confusing when passing through airport security. But if you pack correctly, putting any items you'll need to take out in the front pockets, it go perfectly smoothly. Known for their durability—and stylishness—the Eagle Creek Universal Traveler RFID is just that. However, it's important to note that this one is a bit smaller than other backpacks. But in our opinion, the lack of size works out in this bag's favor. It's a breeze to take through airports and can fit all your essentials for a quick weekend getaway. At $122, it's definitely a worthwhile buy. You'll be purchasing a bag that will last you a very long time. As the name would imply, you can throw everything but the kitchen sink in here! Comfortably! 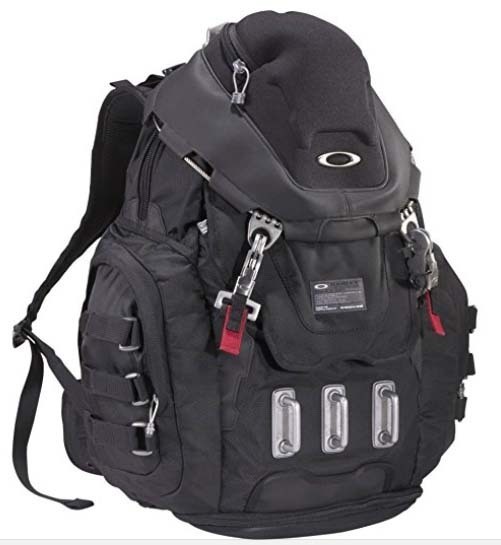 Oakley isn't first to mind when we think of backpacks, but they really should be. 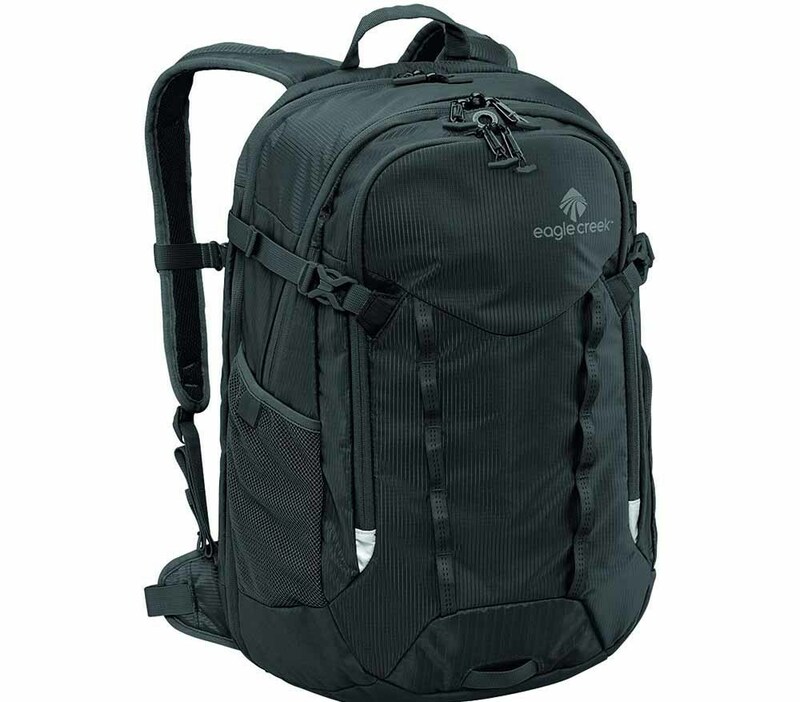 Their bags are some of the most durable, secure, AND affordable backpacks on the market. If you have a teenager who's fairly destructive (don't we all?) then you owe it to yourself to order a rock-solid piece of gear like this one. 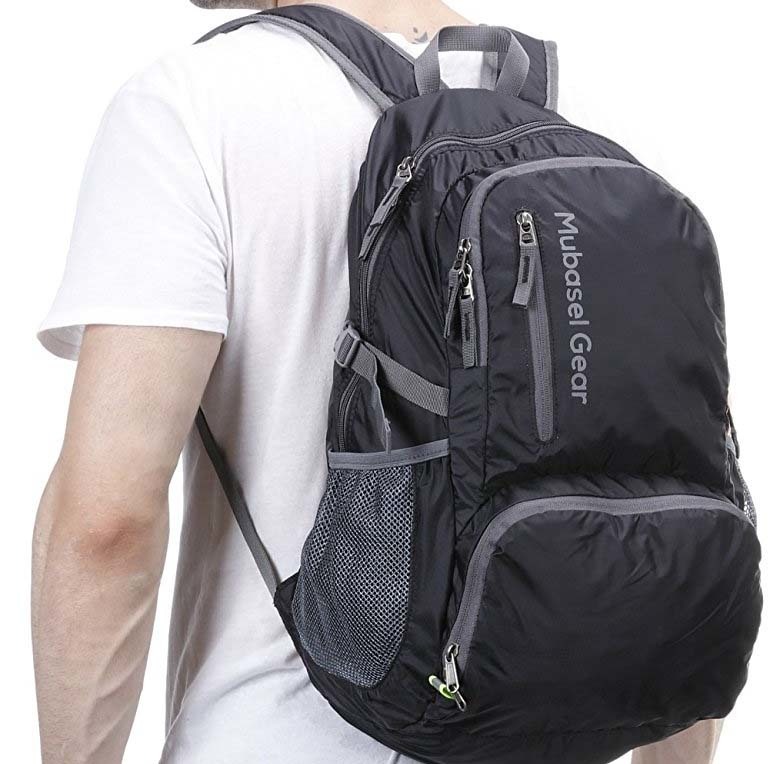 A super light and space-saving backpack, this Mubasel is compact but it can still hold a lot of goodies. Great for taking to the pool, and enjoying the great outdoors, since it’s water-resistant and well-insulated. Incase always delivers quality laptop backpacks. This Slim Pack is no exception. With a simple design, it’s very unassuming in large crowds. Simple on the outside, there are tons of compartments inside to store all your little laptop related gadgets. Great recommendation for your next work trip, or coming home from college. 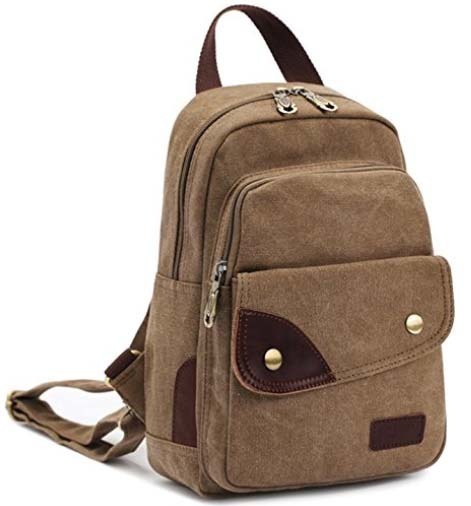 On the small end of backpacks on our list, this CLELO B495 Vintage Small Canvas Sling Rucksack is perfectly snug for carrying small laptops or iPads. Even though there’s not a lot of extra space to be had, we really like this backpack as carry-on luggage on short-range flights. Small, but fits EVERYTHING. Yes, it's true! It really does fit the "mother lode" of supplies. Whether you're backpacking through Europe or heading to Vegas for a work/play weekend, this eBags offering will fit in the overhead bin with ease. It's scrunch-able, versatile, and airport-proof. Plus, its full expansion zipper adds 10 percent more space. 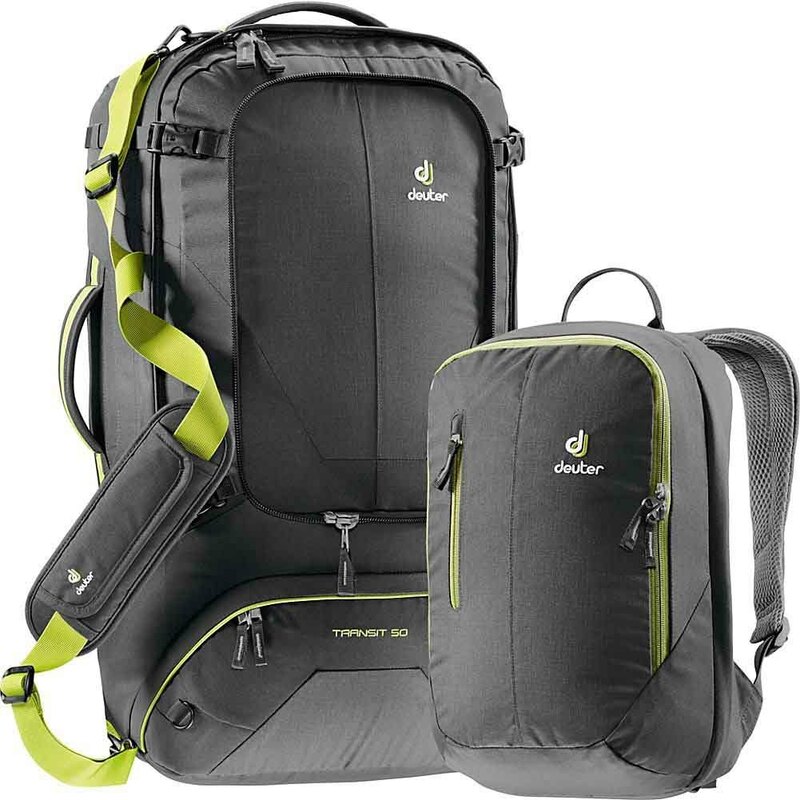 With a removable daypack inside of a full-size travel backpack, this is basically a 2-for-1 deal! Even though it's a tad on the large side for airplane travel, we feel that the additional daypack makes up for the difference. A very breathable fit around the torso area will keep you comfortable at all times. The factor that stands out the most is its weight—or lack thereof. 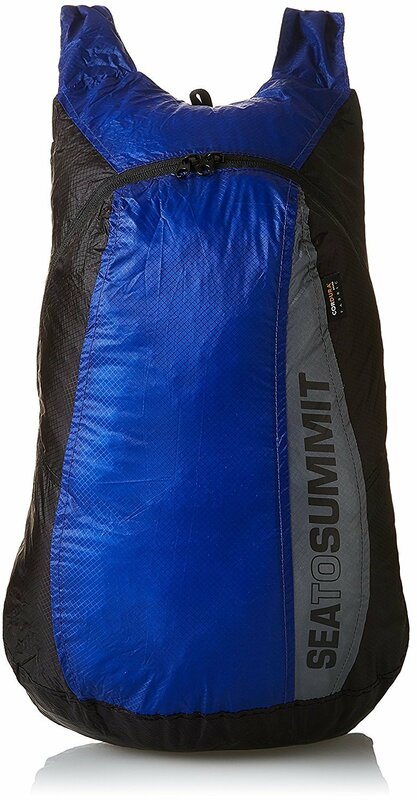 At only 10 ounces, this hiking bag can easily conform to whatever plane you’re on, and whatever airport you need to bull your way through. Because it's small on its own, you'll probably want to take a larger backpack or suitcase with you on your trip. Unless of course, you're heading out on a same day trip. Then by all means, you'll be just fine! 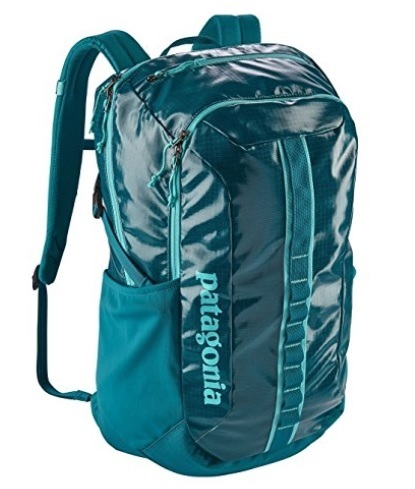 Another bag that packs down easily to fit purses, luggage, and any little goodie you throw in it, the Sea to Summit Ultra-Sil Day Pack is an outdoors-man's delight. 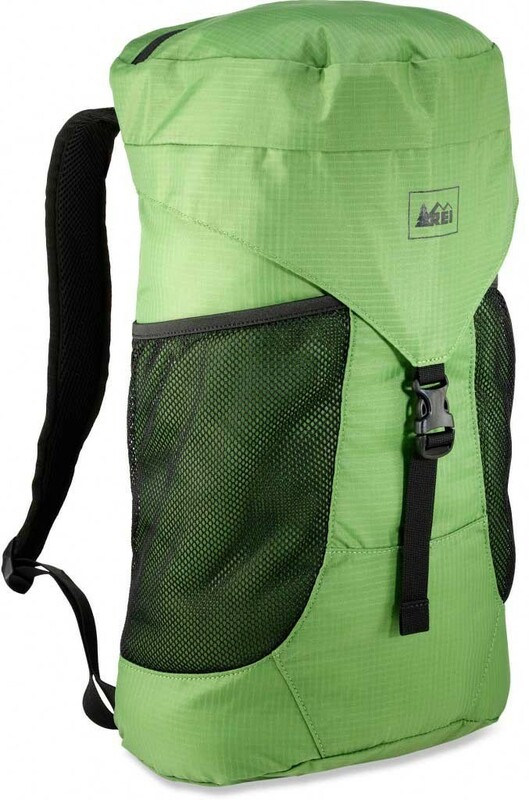 This 20-Liter Pack has adjustable thin nylon straps so you'll never feel bogged down. And with just 1 main compartment, going through TSA will be a breeze. Which 2018 backpack is right for you? 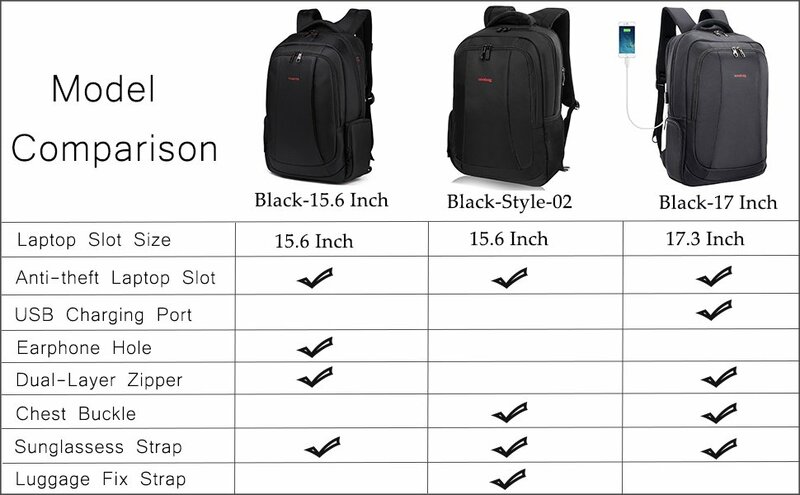 Click the links to see each bags specifications. Depending on the length of your trip, the nature of your trip, and the airports you'll be passing through, you'll need a backpack that fits the bill.